Ice candles are made by pouring hot wax over ice. 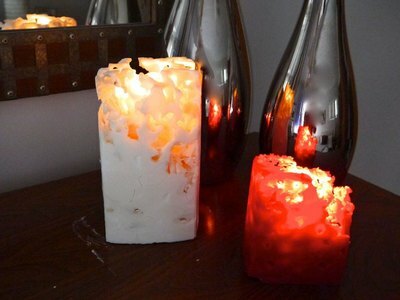 The end result is a beautiful, delicate, lacy candle that is stunning when lit. 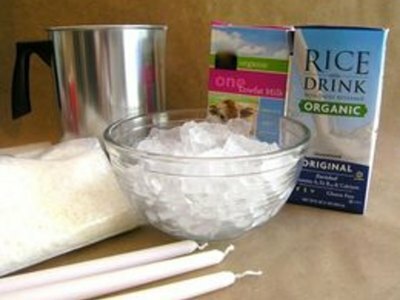 With some wax, taper candles, milk cartons, a melting pot and some ice, you can create ice candles. Please see the last slide for an itemized list of tools and materials. Begin by melting wax over the stovetop on low heat. Do not melt in a microwave and only melt up to 2 pounds at a time. 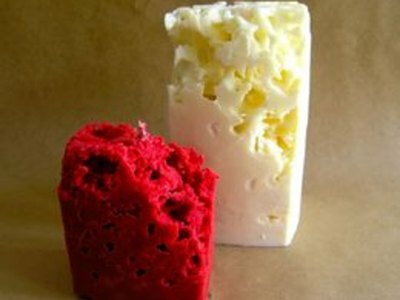 A half-gallon milk carton will hold roughly 2 pounds of wax. While the wax is melting, trim a taper candle slightly shorter than the height of the carton. You can simply break the candle and trim the wick with scissors. 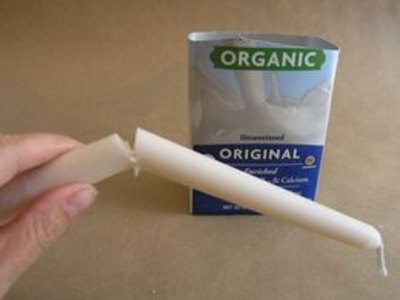 Place the shortened taper candle in the center of the milk carton (put the burning side of the candle at the bottom of the carton) and fill the carton nearly to the top with ice. The purpose of the taper candle is to keep air pockets from forming around the wick of your ice candle. Once the wax is melted thoroughly, pour slowly and evenly over the entire surface of the ice, being careful not to concentrate on one spot. 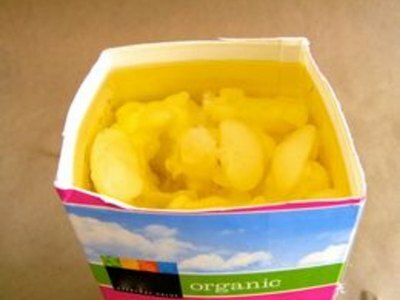 Fill carton up to the top with the melted wax, or at least ½” higher than the ice. Don't worry about covering the wick. The candle sets in the carton upside down, so the burning side of the wick is at the bottom of the ice. Allow to set for several hours. 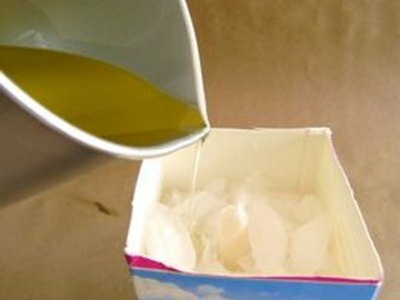 Once wax has hardened, carefully tear away the milk carton and pour the water out. Turn the candle over. You might have to dig the wick out a bit with a small knife. Don't worry if some of the small bits of wax break off at the top of the candle. This is normal and makes your candle unique. Allow the candle to fully dry -- at least 24 hours -- before it is lit. The size of the ice determines the intricacy of the “lace.” Crushed ice (shown here) will give you a small, delicate lace, and larger cubed ice will give you more of a “Swiss cheese” look. Ice candles work best with a hard setting wax as opposed to softer wax made for container candles. You can also melt down old candles and crayons to make ice candles.